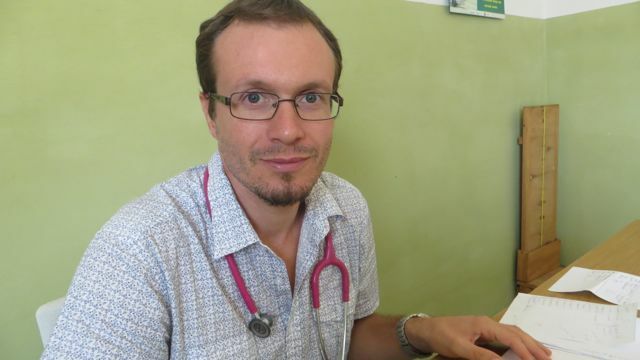 Comfort Community Hospital in Balaka has a new doctor. He is Dr Giovanni Andreotti. He arrived in Malawi a month ago and he will serve the community of Balaka for one year before going back to Italy. The web office asked him some questions about his stay. I am a simple person who trusts in human relationships and who rejects social injustice. 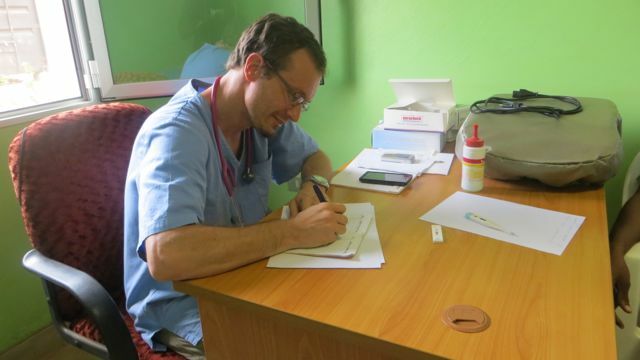 I’ve studied medicine in Italy and in particular infectious diseases because I always have thought that the best way to realize oneself is to stay in contact and possibly help other people. My skills are general medicine, infectious diseases and emergency medicine but in the last months I have studied a lot of paediatric international protocols and guidelines considering that my duty here is currently directed in particular towards children. When you were asked to come to Malawi, what kind of picture did you have? When I was engaged to come here, I was working in an Italian Hospital but I wanted to leave Italy with my partner Manuela in order to discover other places, make new experiences, and leave the Italian decadent system. Malawi has been described to me as a very poor country, with great economical and health problems, but with a great humanity among people, a country where it is possible to have great professional and human experiences. One month since you arrived from Italy, what are your experiences so far? In the first days of my stay here I was quite destabilized by the different style of life I faced. Little by little I have accustomed myself to the new rhythms of life and I have started to feel very gratified from daily human and professional experiences. In particular at the Comfort Community Hospital I have found a lot of colleagues that have accepted me with kindness and with whom I have currently intense daily exchange of experiences and opinions, and in the guesthouse [Nankhombe house] we have been welcomed with great human warmth. Since you arrived here what are the challenges you are facing? The main challenge is to stand every day the fact that probably during my work I am doing something for someone but this is only a drop in a sea because Malawi lacks right now a well organized health system and capillary distribution health services of good level. On the operative point of view I have encountered no great difficulties because Dr Mauro Biagioni has introduced me well, and the colleagues in Comfort Community Hospital are very skilled and inclined to resolve problems together. There are a lot of good moments during my daily activities and also in the guesthouse. People here are very friendly and warm so that it isn’t difficult to establish good relationships with the others even for a person like me that sometimes likes to be lonely. What is the future of Comfort Community Hospital? The future of the Comfort Community Hospital can be bright. Its activities will be extended very soon with the opening of the adult ward soon. The level of health services offered to people right now is good and very useful and the recent decision to give children free medication is really appreciable mainly in a setting where people have no sufficient economic independence. I work frequently in the paediatric ward and there I can see every time people that work with passion and competences so that in future I hope they can be helpful to increase their professionalism and their stability here in Balaka. You will be here for one year. Isn’t this too long for you? Life in Italy nowadays is very uncertain. In the last years I have changed my work a lot of times and now I am quite accustomed to changes in my style of life. My only objective in my life is to be realized in my job and in my personal relationships, so everything depends on these two issues. Currently I am happy here, I am very interested in my job, with my partner everything is going well and she too is very interested in her new employment. I appreciate a lot the daily contacts I have with other people so I think that there are all the assumptions to stay here one year without great problems. I thank all the people that have given me the opportunity to live such an experience. 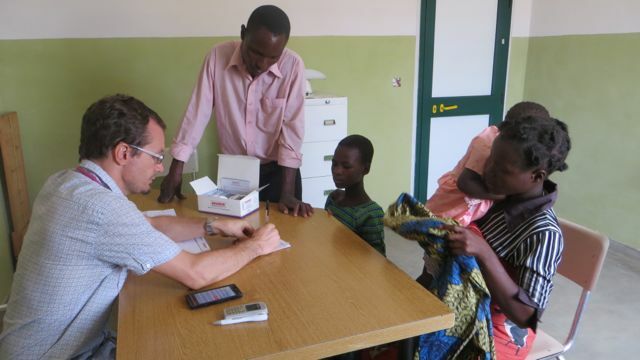 This entry was posted in Health Care, News from Malawi and tagged Andiamo, Balaka, Comfort Community Hospital, Dr Giovanni Andreotti. Bookmark the permalink.